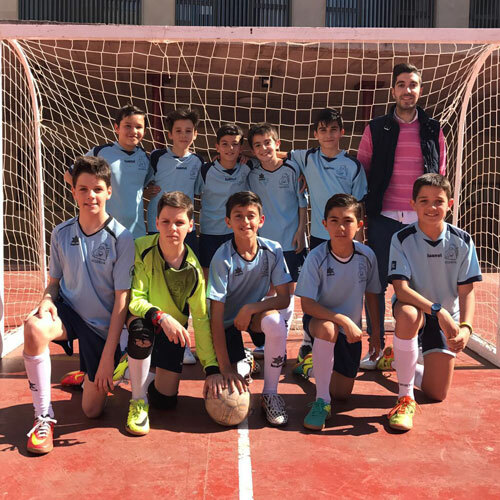 In Virgen de Gracia School in Granada you can benefit from a great range of extra-curricular activities that improves the personal development of each and every student. 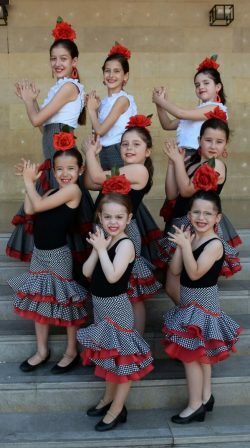 What kind of activities are offered in Virgen de Gracia School of Granada? Thanks to these activities, children will be able to find answers to their interests and concerns out of the school hours. Thus, we manage to train students by promoting their integral development. The sport and cultural activities, complete the training plan of our school. In the afternoon, the students of the school can put into practice their creativity and talent thanks to our great range of activities. Thanks to extracurricular activities children will be able to find answers to their interests and concerns out of the school hours. Sport is essential for the development and growth of our children. It is advisable that children between the ages of 5 and 17 spend at least 60 minutes a day practising any sport activity. One of the most important values ​​of sport as a team is solidarity and that is why we offer activities that promote it, such as football or basketball. These activities are directed towards students from any level and age. Students will also be able to participate in rhythmic gymnastics and dance activities from the age of 5. These two activities are aimed at children and Primary school students. To complete the list of the sports we offer activities such as skating for Primary and Secondary students, zumba for mothers and relatives and KravMaga for secondary students. At the cultural level, in Virgen de Gracia school the opportunity to expand our knowledge through different activities is offered. We are aware of the importance of introducing new technologies in the classroom to foster digital competence, so we have joined the MICROSOFT project “Programming in School”. The program helps the students to get a certification of the skills acquired at the end of each school year. This programme offers to any age students robotics, 3D impression and programming classes. As a bilingual school, we know that languages ​​are also essential for the professional future. That is why the students can benefit from our different courses certified by Cambridge in order to obtain the different qualifications in force, as well as from the mock exams as a training to obtain these certificates of English. WithAloha-mental arithmetic method, students work their mathematical ability through mental arithmetic activities to stimulate theirbrain. The aim of this activity, divided into 3 different levels depending on the age, is to motivate the students by working in groups and encouraging communication. The musical part is not forgotten as we are conscious of its importance in early ages. That is why a Musarte’s activity is also available. The objective is to educate through music. Apart from that, the study and learning are present from Monday to Friday afternoon in our classrooms where our students will be able to attend tutelary study activities facilitating the families their children determination to study during the school year. Here you have the schedule of our extracurricular activities.